Since some years Sebastian Ahrenberg aka Seba from Sweden is our good friend in the worldwide drum’n’bass scene. After many highly acclaimed records on labels like Metalheadz, Reinforced or Good Looking he finally delivers his first longplayer “Return To Forever” on Combination Records. Instead of getting lost into the world of production technology to manufacture bass, beats and breaks the aseptic way, Seba bethinks the good old days when breakbeat was fresh and full of pure emotive drive, and this not only instrumental. Also remarkable vocals quests like Krister Linder or Robert Manos enable his tracks with a fine pop dose. That is why “Return To Forever” is not a pearl necklet of tracks that stand alone with no relation to each other. No, it is an album containing 10 tracks intertwined and fused into a unity. All tracks are in their own way firmly rooted in dance music, all of them are drum’n’bass tracks and all of them are firmly aimed at the dance floor in one way or the other. 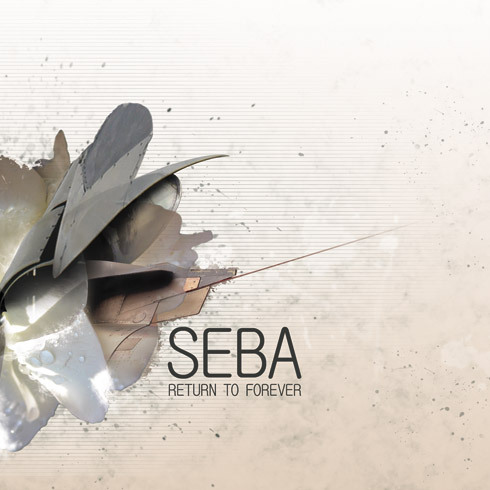 So let us all “Return To Forever” guided by Seba!